Finding out that a pipe has burst in your home can cause a great deal of panic and stress. This is never anything that a homeowner wants to deal with, but it is best that you know what to do if it happens to you. There are some easy temporary fixes that you can keep in your arsenal until your leaky-burst pipe repair-replacement service in Woodway is able to arrive. Did you know that when water freezes, it can expand by about 9% in volume? When this happens, the expansion comes with tremendous force and the pressure that results can break open the pipes in your home. If a break occurs, you need to find the shut-off valve as soon as possible so that you can minimize the amount of water damage that takes place. After you successfully shut off the water valve, you can try to open a faucet to try to relieve some of the remaining pressure that may be built up in the pipes. Once you shut off the water, your plumbing professional should be notified to come out to your home for emergency repair. Having a leaking or burst pipe is going to put a crimp in your regular household activity and it will need to be repaired as soon as possible. If you are unsure where your water shut-off is, they may also be able to talk you through finding it over the phone. 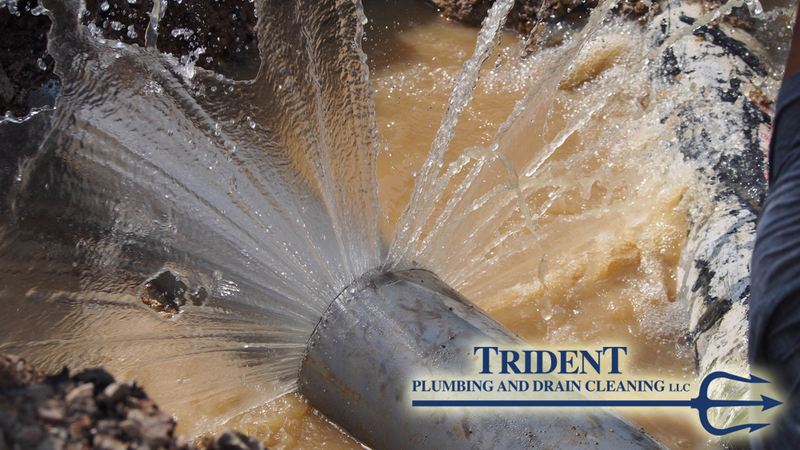 We are here to help at Trident Plumbing and Drain Cleaning whenever you are faced with burst or leaking pipes. With one phone call, we can deploy our certified technicians for emergency service to get it fixed for you in no time. You can call us at Trident Plumbing and Drain Cleaning at (425) 321-6043 when you need a leaky-burst pipe repair-replacement service in Woodway. Next PostNext Do You Need Repiping Plumbing In Bothell?